From the alphabet we make words, and Jesus Christ, who is the living Word of God, is God’s full revelation, and communication to humanity. Jesus is the full expression of God to the world. He is the only alphabet we need to reach the Father. 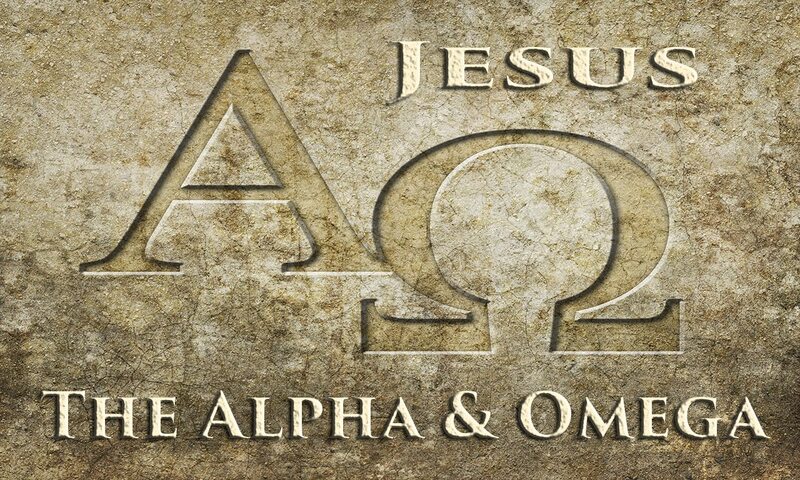 If you and I are going to reach our Holy God, we must go through Jesus Christ, the Alpha and Omega. Jesus Christ is truly our everything. An examination of Scripture clearly reveals Jesus Christ is our all in all; He is the all sufficient One; He is everything from A to Z. A – Advocate (I John 2:1). “And if any man sin, we have an advocate with the Father, Jesus Christ the righteous.” Jesus alone is qualified to plead the case of sinful man before the Holy Father. C – Crucified Lord of Glory (I Corinthians 2:8). Jesus was more than a mere man dying on the cross, He was the “crucified Lord of glory” giving Himself for you and I.
F – Faithful Witness (Revelation 1:5). “Jesus Christ, who is the faithful witness,” is One we can trust unreservedly His every word and way. H – High Priest (Hebrews 4:14). Jesus, as our “great high priest,” not only offered the Sacrifice for our sins, He was the Sacrifice. K – Kings of Kings (Revelation 17:14; 19:16). Kings come and kings go, but Jesus, as the “King of Kings” has had more declare allegiance to Him than all kings of all the ages combined. And when all is said and done He will be only King standing victorious. O – Omniscient One (John 1:48). Just as Jesus told Nathanael, “When you where under the fig tree, I saw thee,” He, as well, sees and knows our every situation. P – Prince of Peace (Isaiah 9:6). As the “Prince of Peace” He alone can bring peace to our troubled hearts in turbulent times. What a Savior we have! He is the All-Sufficient One…and more!! “Blessed be the God and Father of our Lord Jesus Christ, who hath blessed us with all spiritual blessings in heavenly places in Christ” (Ephesians 1:3). Yes, Jesus Christ is our everything.